Nike deals! That's what we're all about here. 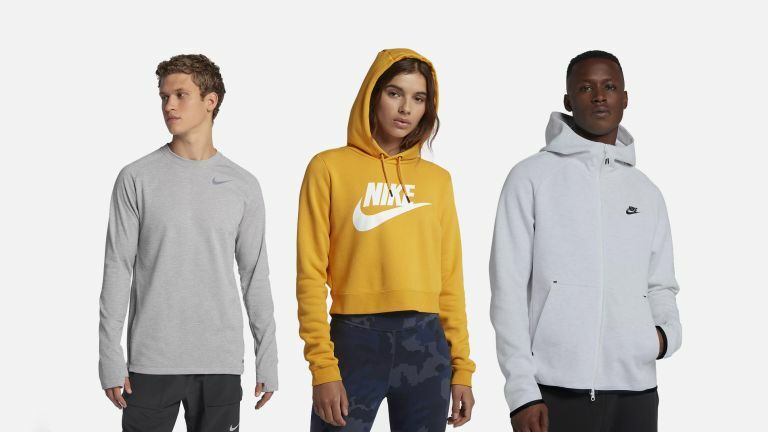 And now that it's Spring, it's time to get excited about all the savings you can make on Nike clothing. Nike has reduced products across a number of popular categories. Products discounted include sportswear, performance training, trainers, Dri-FIT, football boots, jackets, hoodies, gilets, shirts, shorts, baseball caps, running shoes, sneakers, fleeces, trousers, vests, tights, tops and pants, among others. Products are split between male and female, and there is also a wide selection of children's apparel and footwear, too. Certain sale items are also customisable, with treatment, colour and logo placement changeable. As such, if you're currently looking to augment your wardrobe for the summer or winter season then now could be a great time to add a few choice, discounted cuts. Remember that Jordan and Converse all fall under the Nike umbrella, so you'll also find great deals from those brands included in the sale. These are a selection of our favourite products currently in Nike's sale. It's worth noting that many of these are limited stock, so once they're gone, they're gone. Some of these deals may have run out since publishing.